A gangster, a vicar, and a receptionist walk into a bar, touching off this madcap adventure from the author of The 100-Year-Old Man Who Climbed Out the Window and Disappeared. Killer-for-hire Anders is just out of prison and trying to keep his head down at a one-star hotel when he meets a pair of unlikely new business partners: one is a Protestant vicar, fired from her church for being an atheist; the other is the hotel's receptionist, the ruined grandson of an ex-millionaire. 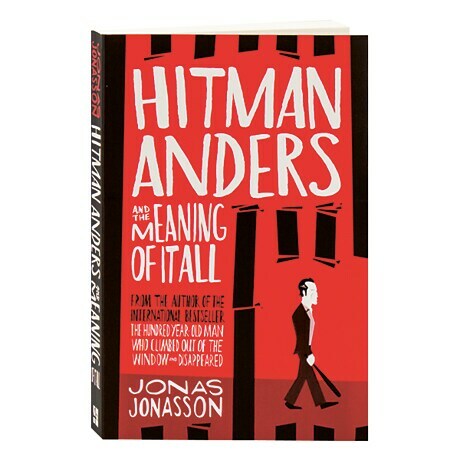 Together they cook up an enterprising venture involving Swedish gangsters, on track to make them all a fortune—until, to everyone's surprise, Anders finds Jesus.